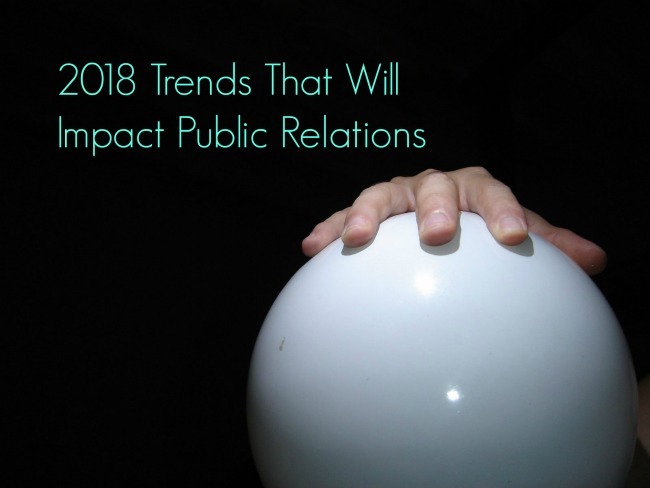 What can PR professionals expect in 2018? Despite the acceleration of change, new directions don’t always announce themselves. Yet in 2017 we’ve seen specific trends that might reasonably be expected to continue through next year. Here are some we’ve noticed. Shortly before the inauguration of the new president, some brands went against convention and waded into political territory. We saw the Coca-Cola company air a Super Bowl ad featuring a stream of attractive, multiethnic people set against “America the Beautiful,” sung in various languages. Anheuser Busch seemed to take on immigration policy in another Super Bowl spot. Corporate CEOs rallied to aid those affected by the administration’s suddenly announced travel ban. Nearly a year later, those moves seem almost like baby steps. Mainstream marketers are gradually losing their reluctance to advocate for politically and socially charged issues in their paid content and corporate social responsibility positions. Get ready for more of the same in 2018. Visual storytelling will be better and easier. If you’ve any doubt about the power of visual storytelling, check out these superb examples by brands large and small. In 2018 we’re likely to experience more technology-assisted visual storytelling and experimentation by brands. A study of 1478 professionals by Wibbitz shows that 80 percent use automation tools for visual content creation, and that more than three quarters say they will expand visual content creation in the coming year. PR and marketing pros will increasingly look to automation and data technology tools to ramp up efficiency and output of compelling and highly searchable content. Paid and earned media will come together. 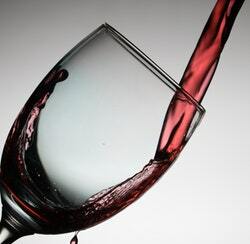 Earned media has kept its value as a public relations outcome. In an era plagued by charges of “fake news,” the influence of trusted brand domains and recognizable journalism is more important than ever. However, earned media alone may not be enough in today’s competitive social content landscape. PR professionals will need to understand how to use content tools and paid techniques to amplify the earned and shared content that results from their efforts. In 2018 we’ll see a continuation of the branded content trend as major companies adopt traditional journalistic techniques, along with technology-assisted storytelling, to create engaging content. Ad dollars will move to influencer marketing. The competition for consumer mindshare has meant that marketers realize the value of engagement created by influencer relationships. We’ve also seen an expansion of those we call influencers, from academic experts, authors, and analysts, to political pundits, creators, and youthful YouTubers. Marketers have been shifting budgets into influencer marketing for the past few years, as paid advertising has declined and the definition of influence has broadened and changed. Over the past few years, so-called micro-influencers have been popular as a cost-effective and relatively automated tool as well. But 2018 will likely see a move to deeper, more long-term, more organic influencer partnerships. It may also set up a tussle between PR and marketing for ownership of the influencer budget and relationship. Public relations will emerge as a strategic management function. Many would say that public relations has already fulfilled its potential as a management discipline, but this is true largely within multinational corporations, and even there, the corporate communications function does not always report into the CEO. Nor has PR embedded itself into academic community and its thought leadership and alumni networks. But the commitment of professional organizations like The PR Council and CIPR, which is working toward greater academic involvement by PR leadership, is changing the equation. So is the work of individual mega-agencies who support the inclusion of a robust PR curriculum at business schools. And the decades-long effort to create a true methodology for evaluating outcomes has placed PR on a track to come into its own.